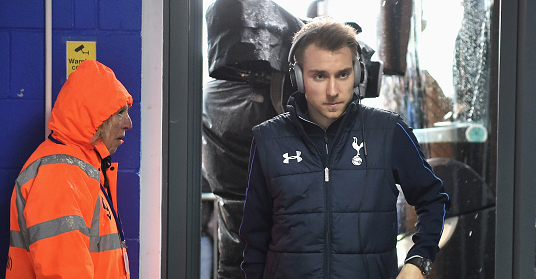 A few days ago the Harry Hotspur blog ran an ITK piece suggesting that Christian Eriksen was of a mind to quit Spurs. Tottenham have made several attempts to tie the Dane down for a further extension of his contract, but without success. In fact, one wouldn’t be taking a wild leap in suggesting that once Harry Kane’s improved deal was in the public domain, most players felt they too could get killer deals. Spanish outlet AS are confident wheels are in motion and that Real Madrid want to sign the Middelfart born boy. The grim reality is that for all the club’s delight at the new stadium, there is a decided reticence from the players to sing from the same hymn sheet. Toby Alderweireld and Jan Vertonghen have only accepted bare minimum terms that would at best only see them both play one whole season at the new venue. Given that this shopping centre is being touted as a footballing panacea, who aren’t all the players climbing over each other for long term deals? Why aren’t Spurs constantly linked with top of the range players?